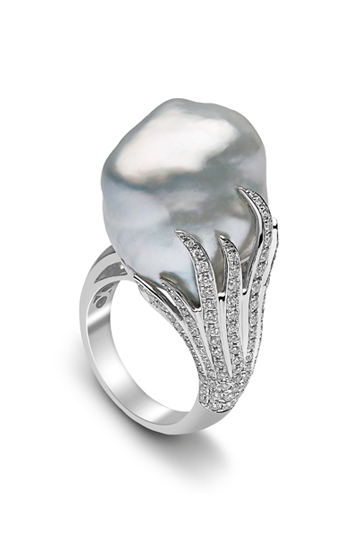 The collection features stunning large pearls in an icy monochrome palette, highlighted by dazzling pavé set diamonds. 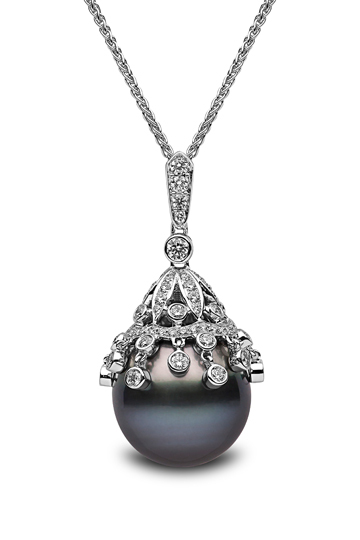 Inspired by the natural beauty of pearls, the Glacier collection places the pearls front and center stage. 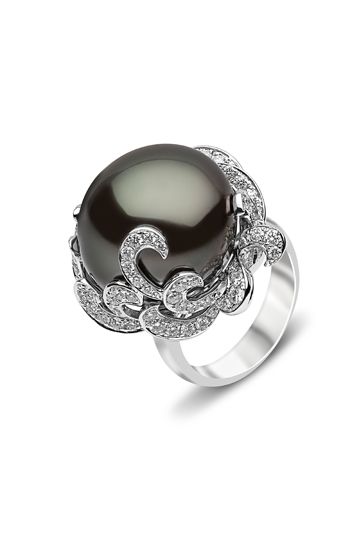 Hero pieces from the collection include a show stopping cocktail ring featuring a rare large 18.6mm white baroque pearl with a unique steely lustre. The ring design follows the natural shape of the pearl and each curve is accentuated with a thread of tiny pavé set diamonds all set in 18ct white gold. 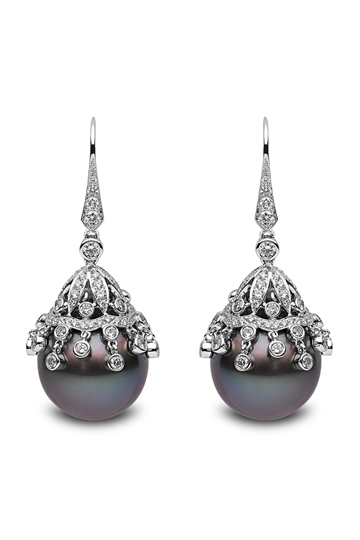 Earrings and necklaces within the Glacier collection embrace movement and light and let the natural iridescence of the pearl shine through. 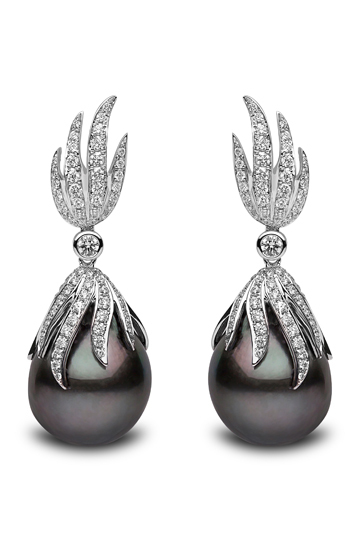 Threads of white pavé set diamonds climb up the ear and the articulated diamonds and contrasting dark grey pearl drops create a subtle shimmer. 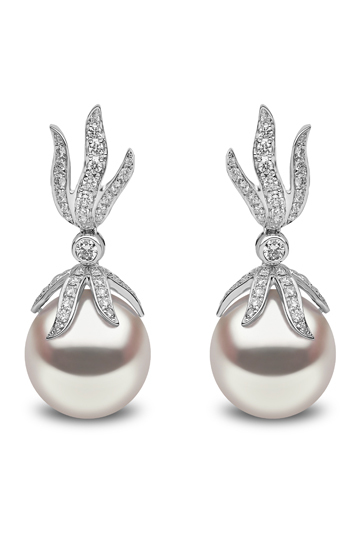 Diamonds are also set within free moving links to move and dance around the pearls for a playful modern edge. The collection is available to purchase from YOKO London’s Knightsbridge boutique from December and key stockists across the globe such as SAKS and Neiman Marcus. Explore more from Yoko London’s collections here.